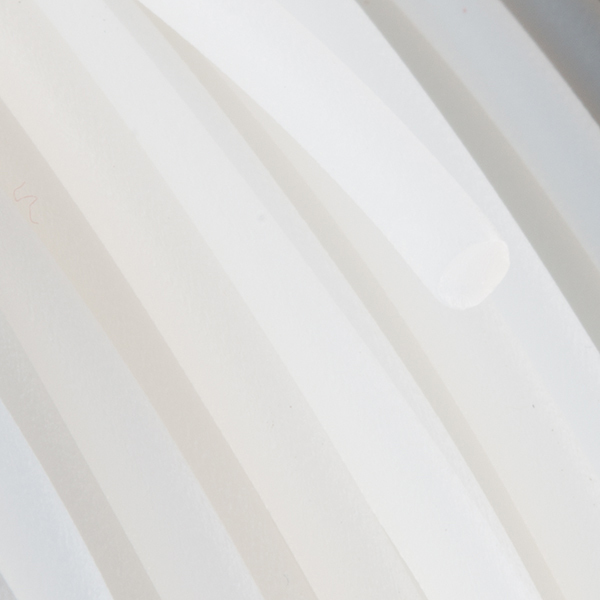 Ninjaflex, or TPE (thermoplastic elastomer), is an exciting combination of sheer strength, low-temperature performance, abrasion resistance, and flexibility. Simply put, it is the stretchiest material we’ve seen come out of a 3D printer. This water (semi-translucent) 3mm diameter filament comes in a 0.75kg coil. Ninjaflex sticks well to most print surfaces and adheres to itself well so parts don’t delaminate easily. Optimal extrusion temperature can range from 210-230C, with a heated bed temperature of 30-40C. Note: The flexibility of this material makes it nearly impossible to print using a standard extruder, it is highly recommended to use the Flexystruder Tool Head with this filament.